Well I hope everyone’s had a great festive period and your stockings were full of fishing goodies. 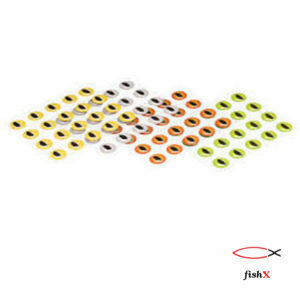 For those of you who received fishX vouchers, get in touch with ourselves to book dates for your trip. 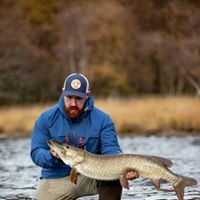 In the lead up to the festive period myself and Euan Miller joined up with the Pike Anglers Alliance for Scotland on their organised events on the lake of Mentieth. We fished both days and it was a tale of two halves. The first day saw me land 10+ fish. Eight of which were into double figures, at one point having two doubles on at the same time. Euan had a few fish to doubles figures. The highlight of his day being when he struck into a fish and the rod, he had borrowed from myself exploded on contact. Euan seemed to find this hilarious! Me not so much! The second day was Euan’s turn, with not as many fish turning up but Euan managed a magnificent specimen of 26lbs. Our man on the Isle of Bute John Mcinairnie, just as he always does, has steadily brought big fish to the boat, with numerous Pike over twenty pounds and this Rainbow Trout of 15lbs Looking forward to 2019, myself and Johnnie will be representing Team fishX at Perchmania on Grafham water on the 30th & 31st of March. This will be both our first exploration into the world of competitive angling, so it’ll be interesting to see how that goes. Graham Faulds was out on a guided trip with myself. 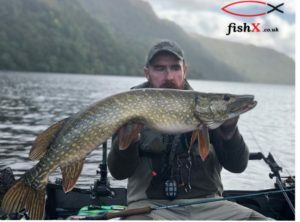 Graham is an avid fly fisherman for Trout and Grayling, never having had a go for pike before. After we got him out the habit of dabbling his fly on the surface (this might just work at certain times of the year but not at the start off December!) Graham took to it like a duck to water. He fished hard and thoroughly deserved the few fish he had, the largest being a mid-double. Graham obviously enjoyed his day and was impressed by the tackle. So much so he’s now rigged himself out with a new Loop outfit from https://www.ffcentre.com/shop/ and seems to have joined the increasing number of fly fisherman, turning to pike on the fly! Anyone needing any advice on what loop products are suited to them and their casting style and type of fishing, or any other fishing related matter. 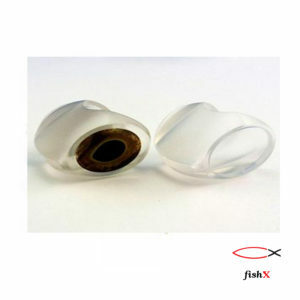 Get in touch with us here at fishX and we will try to help you to the best of our ability. 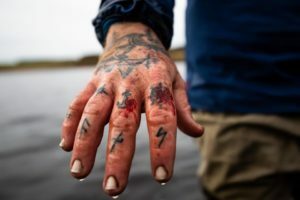 Advice is free, we enjoy nothing more than educating others and making their own fishing experience better. Hopefully though time, we can make the 5% the 10% or the 15%! Below is a selection of pics, of some of the clients we’ve had the pleasure to have taken out over the last few months. I’m ecstatic how things have went since starting fishX, six or seven months ago. I’m still learning on my feet, I’m not the best with I.T. but I’ve got some good people around me and we will get there. Looking ahead to 2019 I can only say im like a little kid, buzzing with excitement about the things to come. The diary is open for taking bookings and already spaces being filled into September. Remember it’s not only pike fly fishing we provide. 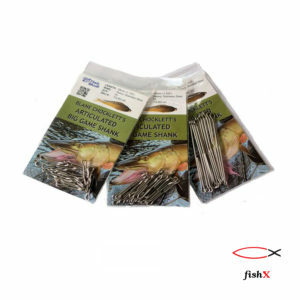 We cover all methods for pike and perch and fly fishing for brown and rainbow trout. You can even contact us for short, four hours session around the central belt. So if you find yourself stuck in a hotel on a business trip, get in touch and we can sort some fishing out for you. Hotel pick up and drop off can be arranged. You can now find us on Flymen’s guide locator and through numerous tour providors. fishX on tripadvisor, fishx@sportfishingoutfitters on facebook and @team_fishx on Instagram. 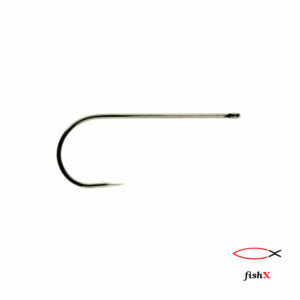 Tight lines to all the good guys in 2019 from fishX!